THE ULTIMATE SLIDE FOR YOUR NEXT EVENT. THIS DOUBLE SLIDE BRINGS THE WATER TO YOU. 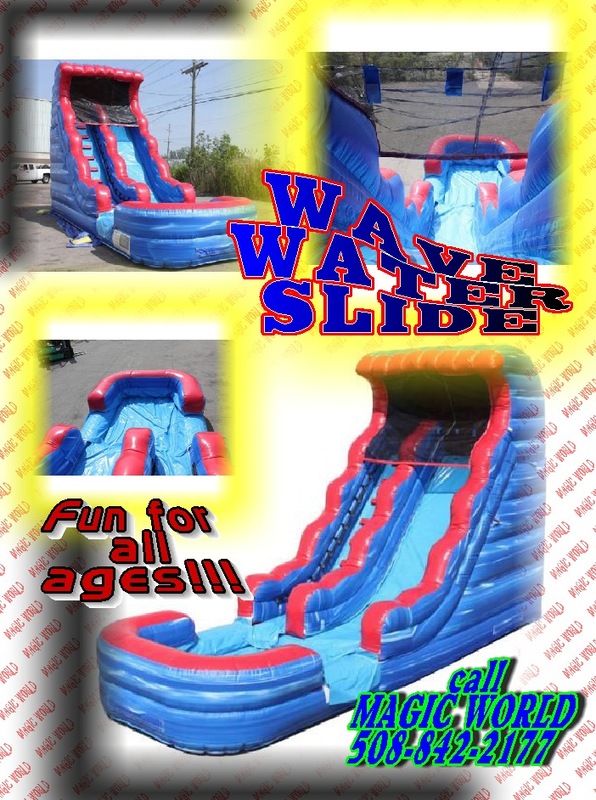 WITH ITS GREAT GRAFFICS THE WAVE SLIDE WILL BE THE CENTER PIECE OF YOUR NEXT EVENT.